We are launching a limited time offer to financial contributors of our game development project. We have obtained a small collection of uncleaned Ancient Roman Coins still encrusted in the dirt in which they were found at the dig site. We are offering these Roman coins as a token of our appreciation to supporters who contribute financially to the needs of our development project. These are the actual coins we have available. No returns. No refunds. Not tax deductible. An informational pamphlet will be included with each purchase. 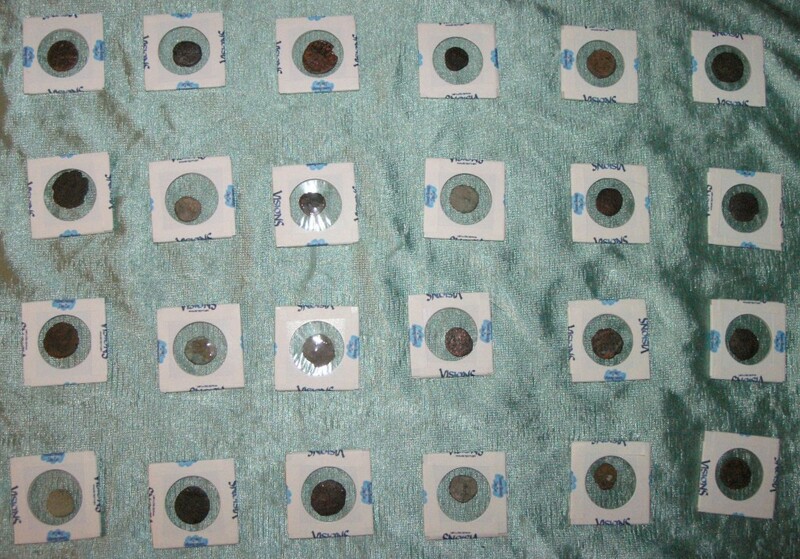 This is are real, uncleaned, ancient coins. It is supposed to be a Roman coin according to the source who provided them. It is not a fake or a replica. You can hold a piece of history in your hands! No two coins are exactly alike. We can not guarantee the size or quality of any coin, all coins are relatively small, as shown in the pictures. A few have visible detail even through the crust, though most do not. All coins were most likely circulated as currency by Roman citizens during ancient Roman times, and will show the wear of use as well as the wear of time. If you want these coins, be sure to get your coins today! Each coin is one of a kind and when they are gone they are gone permanently! Each coin has been packaged into it’s own protective coin flip. They were handled only with linen gloves upon arrival, they have not been touched by our hands. Thank you for supporting the Visions game development project!